Gizmondo are itching for a rematch with the market. And this time, no Ferraris. Problem is, there's an economic downturn going on at the moment, which means Gizmondo 2 isn't in the best shape. 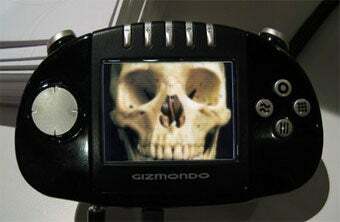 Originally planned for release this month, the second Gizmondo handheld now won't be out til next year. If it ever comes out at all. Thanks to the bum financial situation the world finds itself in, most of the company's investors have backed out, leading founder Carl Freer to totally reinvent the device. It'll still be built around either Windows CE or Google's Android, as first planned, though instead of being a pure gaming device, it'll now launch as a smartphone/gaming device combo. A next-gen N-Gage, if you will.